Ayur Blood Elixir, 4 oz. Blood cleansing is a very important part of health since the quality of the blood determines the ability to provide nutrients needed by every cell in the body. The main herb in the Ayurvedic pharmacopoeia used for cleansing the blood is manjistha, a deeply red root that has exquisite properties, enabling it to remove excess pitta without side effects. Since blood circulates throughout the body, the action is systemic and improvements in complexion, liver health, kidney function, and stamina should occur. To manjistha, Indian sarsaparilla has been added as an additional support for the lymphatic system, hibiscus for the heart, guduchi for detoxification, and ashwagandha for neuroregeneration and strength. This elixir is also rich in antioxidants, and being composed of some of the world"s best rasayana herbs, it aids regeneration and rejuvenation. Ingredients: Proprietary blend of Manjistha Root, Rubia cordifolia, Anantamool Root, Hemidesmus indicus, Hibiscus Flower, Hibiscus sabdariffa, Guduchi Stem, Tinospora corifolia, Ashwagandha Root, Withania somnifera, and Jaggery in Distilled Water, Organic Alcohol, and Vegetable Glycerin. Bacopa is an aquatic plant and the primary herb in many Ayurvedic formulas used to improve memory and/or concentration. Bacopa has traditionally been regarded as an aid to learning, retention, and clarity. It also has a reputation as the herb of choice for epileptic disorders and is one of the favored herbs for anxiety. Like many rasayana herbs, it is an antioxidant. It is also antiparasitic and improves gastrointestinal health, including ulcers and irritable bowel syndrome. Bacopa is very safe. In Sri Lanka, it is administered to babies from about eight months of age to purify the blood and to clear parasites and eczema. 30 drops 3 times daily, or as directed by your health care provider. Shake well before using. Ingredients: 1:1 extract of organically grown Bacopa monnieri in Distilled Water, Organic Alcohol, and Vegetable Glycerin. Haritaki is one of the most important herbs in Ayurvedic medicine and the most revered in Tibetan medicine. It is a parasiticide (intestinal worms) and one of herbs used in preparation for kaya kalpa, Ayurvedic rejuvenative therapy. It is a fruit and one of the three ingredients in triphala. It is the most purgative of the three fruits. It pacifies vata and helps to remove toxins, normalize lipids, and rebuild blood. 30 drops in a small amount of water, 2 to 3 times daily, or as directed by your health care provider. Shake well before using. Ingredients: 1:4 extract of organically grown Terminalia chebula fruit in Distilled Water, Organic Alcohol, and Vegetable Glycerin. Kutaja bark is astringent and therefore helps to subdue fluid loss in the gastrointestinal tract. It also supports removal of excess pitta and kapha in the lower intestines. It is soothing to mucosa and is a favorite in India for amoebic dysentery as well as other parasitic infections. It is also used to tonify the female reproductive system to prepare for conception as well as to restore tone after delivery. Like most strongly alkaloidal herbs, care should be taken when using during pregnancy. Ingredients: certified organic Holarrhena antidysenterica bark powder. Manjista is the main blood cleansing herb in the Ayurvedic pharmacopoeia. The roots are astringent and used to stop dysentery, but the main benefit stems from the removal of toxins, excess pitta, from the blood, liver, kidneys, and skin. Manjista is thus the cornerstone of all preparations aiming to improve the complexion. Ingredients: certified organic Rubia cordifolia root powder. Neem is regarded as a potent detoxifier. It has antimicrobial and antifungal effects as well as blood sugar lowering properties. It is also antiparasitic, clearing both the larva and ova. 15 drops 2 times a day or as directed by your health care provider. Shake well before using. Ingredients: 1.5 extract of organically grown Azadirachta indica leaf in Distilled Water, Organic Alcohol, and Vegetable Glycerin. Nutmeg Essential Oil, Ecocert, 5 ml. Nutmeg has a reputation for being an aphrodisiac but it is also larvacidal and antiparasitic. It is carminative and aids digestion as well as elimination. Because Nostradamus used nutmeg to induce trance, nutmeg has often been used as a mental tonic as well as aid to altered states of consciousness. Nutmeg combines well with other oils from spices, such as cloves and ginger, as well as other mental oils like rosemary. Ingredients: steam distilled certified organic Myristica fragrans seeds. Vidanga is used to eliminate excess vata from the lower intestines. This is extremely important since vata can become debilitating. 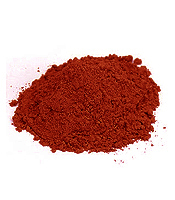 Vidanga also strengthens agni (digestive fire) and supports detoxification. In Ayurveda, it is regarded as ascaridal, specific for large intestinal nematodes, as well as giardia. In clinical trials, tape worms were expelled in 6-24 hours. It is also a febrifuge. Studies indicate that it is estrogenic and mildly progestogenic. The berries are spermicidal and are being studied as a natural contraceptive. The effects on male fertility are easily reversed once stopping the use of the berries. Use of this herb should be suspended if changes in peripheral vision are noted. It should also not be used by those trying to have children since it acts as an antifertility agent. Ingredients: extract of organically grown Embelia ribes fruit 1:4 in Distilled Water, Organic Alcohol, and Vegetable Glycerin. Vidanga is used to eliminate excess vata from the lower intestines. This is extremely important since vata can become debilitating. Vidanga also strengthens agni (digestive fire) and supports detoxification. In Ayurveda, it is regarded as ascaridal, specific for large intestinal nematodes, as well as giardia. In clinical trials, tape worms were expelled in 6-24 hours. It is also a febricide. Studies indicate that it is estrogenic and mildly progestogenic. The berries are spermicidal and are being studied as a natural contraceptive. The effects on male fertility are easily reversed once stopping the use of the berries. Ingredients: Embelia ribes fruit powder in vegetarian capsules. Ingredients: certified organic Embelia ribes fruit powder. Ingredients: wildcrafted Embelia ribes powder.